This post brought to you by Ripley’s Believe It or Not!. All opinions are 100% mine. 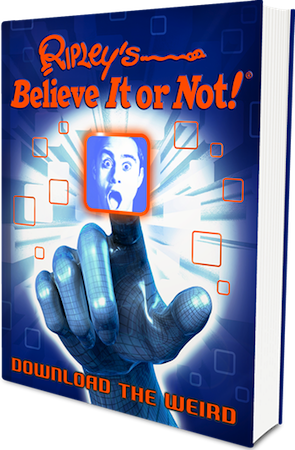 Most of us have seen the Ripley’s Believe It Or Not! show, if not at least heard about it. My family watches it religiously, and we're always taken aback and entertained at the strange things they view. 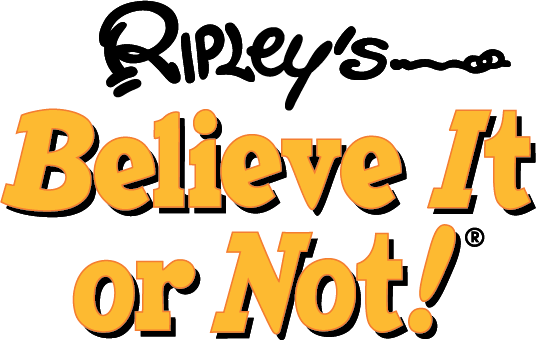 When I was younger, my family and I visited Orlando, Florida, where we visited the Ripley's Believe It or Not attraction. One of my favorite exhibits there was the shrunken human head. Surprisingly, I didn't have any nightmares afterwards, but it was very interesting! Ripley's Believe It or Not! 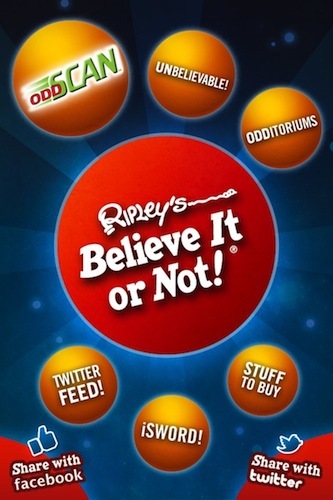 is finally launching their annual Ripley's Believe It or Not! Download the Weird book. This enticing book showcases crazy and unreal stories from around the globe. It is filled from cover to cover with crazy facts, interviews, stories and list. Just to give you a teaser – included in the book are stories about the oddest couple, in my opinion. We've all heard about circus freaks swallowing swords, but this man also swallows umbrella handles and hedge trimmers! The woman hangs upside down and lifts LEAD weights with her hair! I have a sensitive scalp, and that sounds like excrutiating pain. The book also contains an exciting pullout with odd Titanic facts. I am a Titanic fanatic, so I cannot wait to read them. We're in the technological age. If you own a smart phone, chances are you use apps. Ripley's Believe it Or Not! offers a unique twist to the book. If you download the app via iTunes or Android, you can view exclusive bonus content just by pointing your smart phone or advanced iPod at the special oddSCAN logos that are found in the book. This app takes you beyond the book! Ripley's Believe It or Not! Download the Weird would make a great birthday present to the oddball in your life!